This is not just a museum. This is a place unchanged, a time capsule that can transport you back 100, 200, 300, almost 400 years. 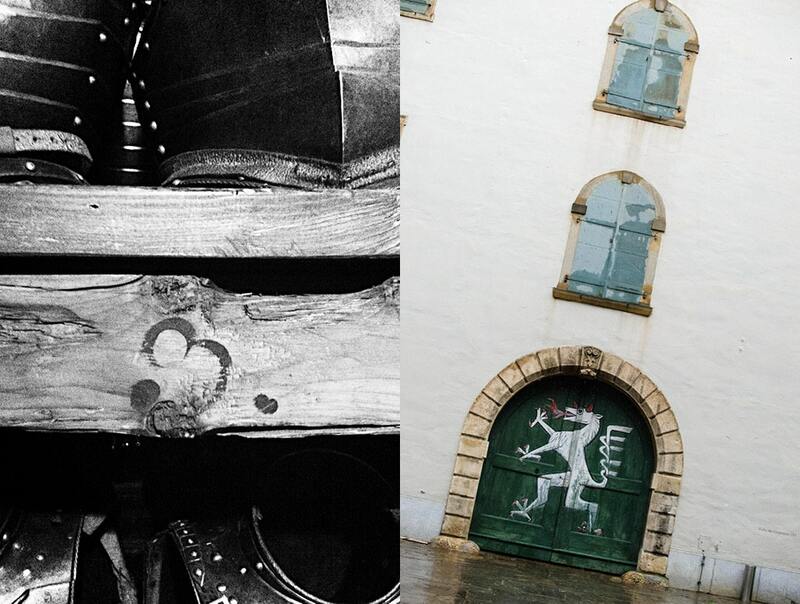 Walking on these floors, you are mere millimeters from the actual surface that men trod, who went to battle girded in medieval battle armor for honor, profit, or because they had no choice. The feeling of the past is palpable. In the short span of my life, I too have a past here. My first visit was at age seven, escorted by my grandfather. Returning today, the rooms are filled with the same magical battle-ready aura I felt as a child. 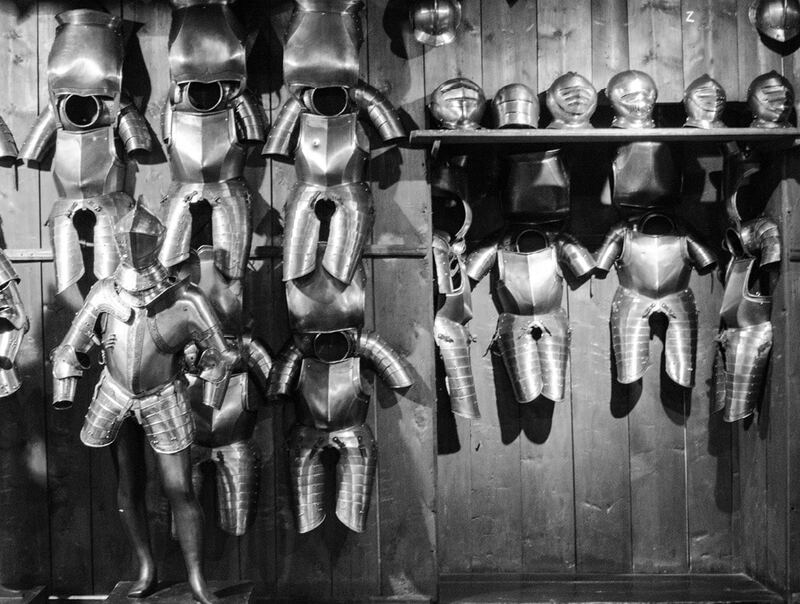 So convincing is the feeling that it would come as no surprise to turn a corner and find yourself caught up in preparations for war, donning your suit of medieval battle armor. 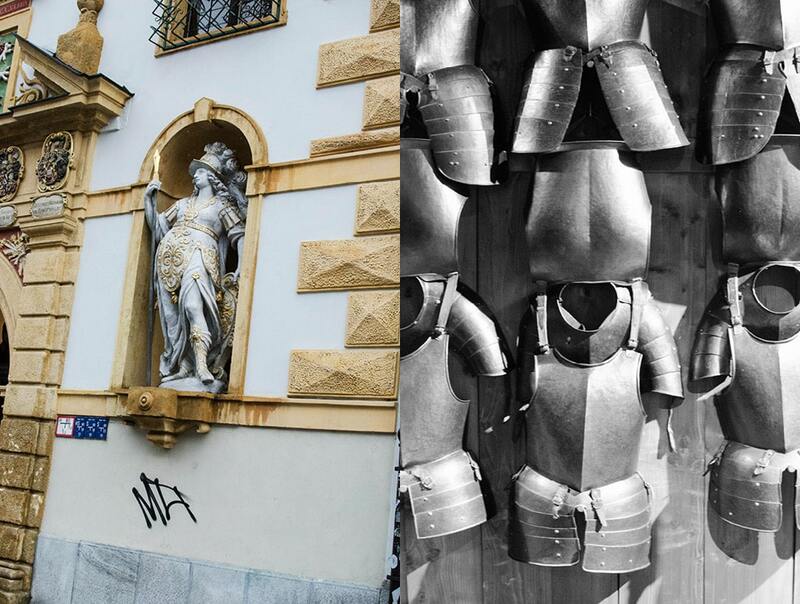 If this experience is all you come to Graz for, it is well worth the trip. 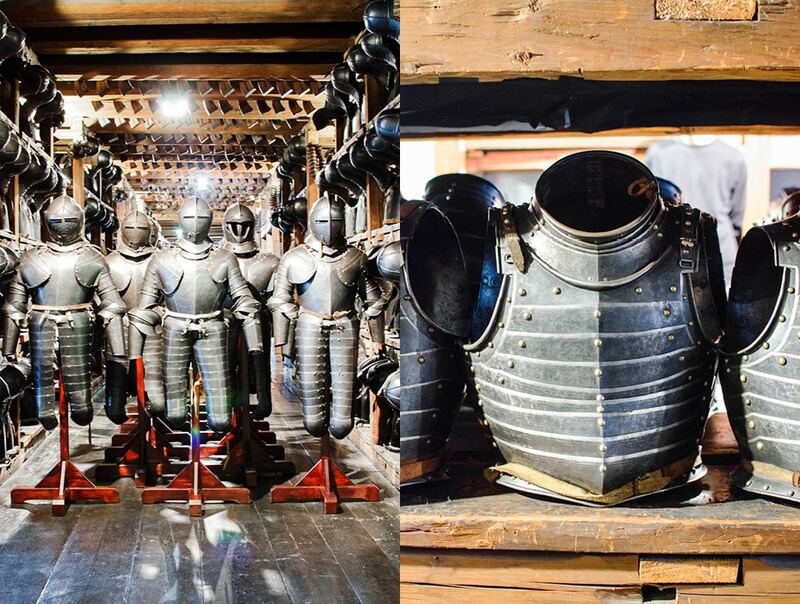 Built between 1642 and 1644 by architect Antonio Solar from nearby Tyrol, the Zeughaus (Provincial Armory) stored medieval battle armor and armaments used to protect the area from constant attacks from the Ottoman empire to the south and Hungarian rebels from the east. 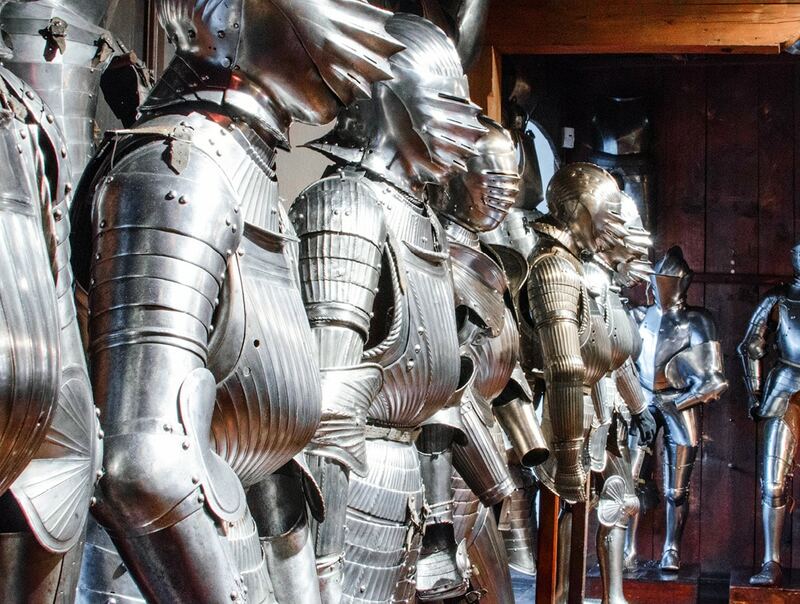 The armory housed an inventory of 32,000 medieval armor and weapons, and remains intact today, the largest collection of its kind still in its original layout and location. 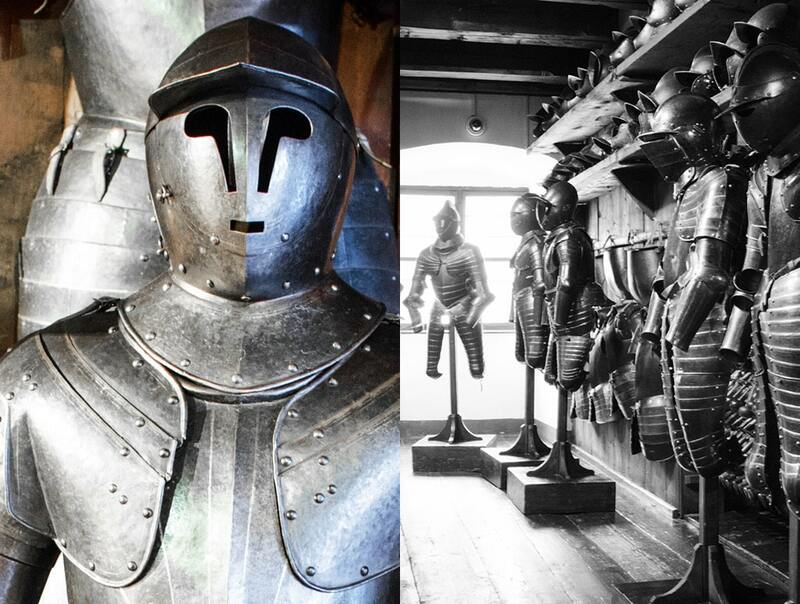 In the years of its use, the Armory’s inventory of battle armor was a well-kept secret so as to not give the enemy any advantage of knowing that this small building housed enough weapons and battle armor for 5,000 men. 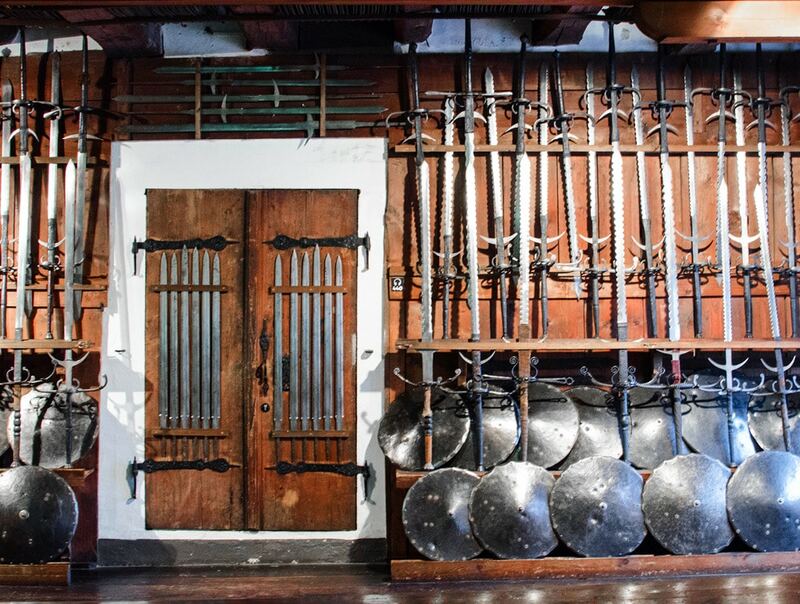 It is easy to step back in time, imagine the smell of gun powder and steel hanging in the air, and instruments of war being lowered by rope and winch from windows on all levels to meet the challenge of an approaching foe. 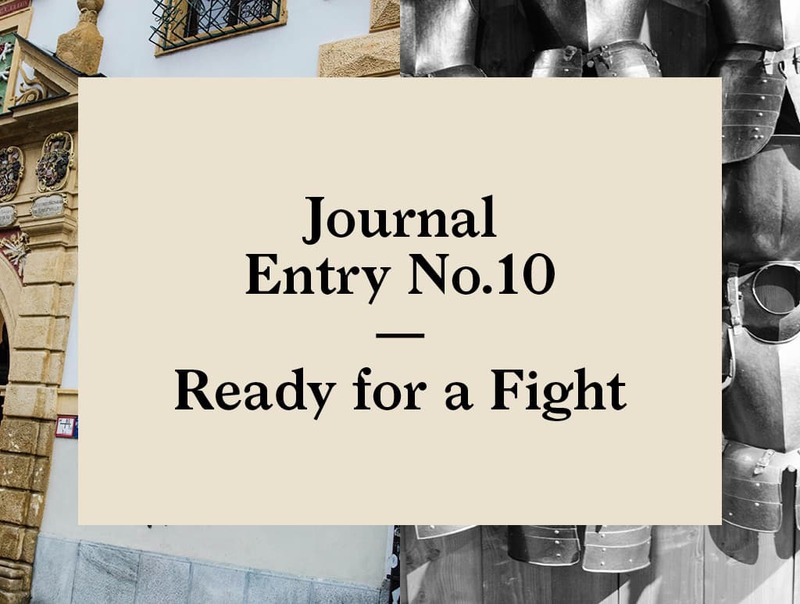 So convincing is the feeling that it would come as no surprise to turn a corner and find yourself caught up in preparations for war, donning your suit of battle armor. Each floor is meticulously organized by rank from low to high. The bottom floors contain less refined and more sparse battle armor, presumably lighter for more active combat. 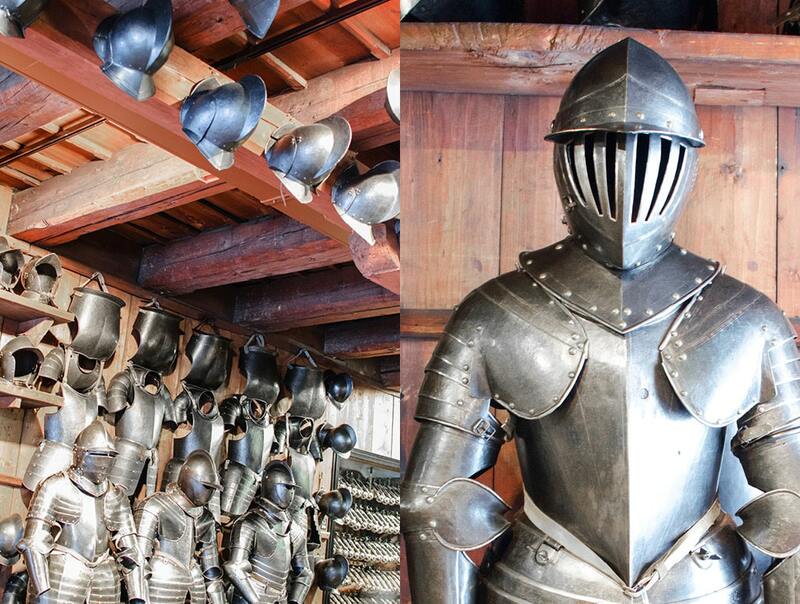 On up to the higher levels elaborate and decorative medieval armor provided near complete protection for both rider and horse, with the inevitable downside that should the rider fall, they would be immobilized by the sheer weight of their extra protection. A great place for kids and adults, as I can well attest having visited in both age groups. And the perfect day out for all you Game of Thrones fans. 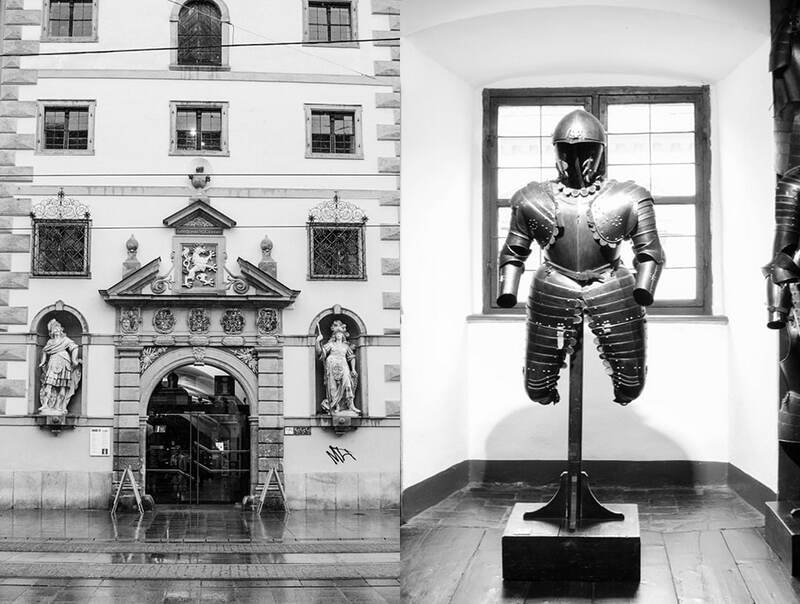 Planning a visit to the Zeughaus? Here is the current weather and what to expect for the next few days.